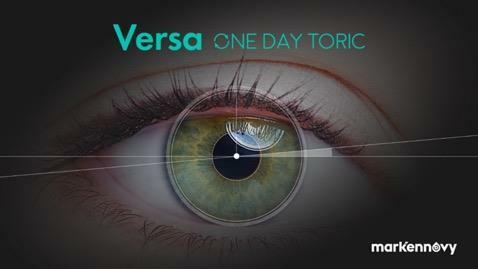 The Versa One Day Toric is a made-to-order contact lens that Mark’ennovy says provides the ‘widest range of spheres, cylinders and axes on the market’ for those with astigmatism. Popular for those who desire convenience and comfort, daily contact lenses often come with a limited number of standard range options for patients – meaning those who require a higher cylinder or more precise axis often settle for less. The Versa One Day Toric, however, provides more accurate astigmatism correction through its made-to-order daily replacement. The company says it also provides relief from dry eye and allergy problems, as well as being convenient for outdoor enthusiasts and part-time wearers.